It’s amazing to contemplate that all the famous paintings in history — from da Vinci’s Mona Lisa to van Gogh’s Starry Night — are essentially formed from three primary colors. Artists skillfully combine red, yellow and blue to formulate an infinite range of colors to bring their paintings to life. “Today’s decking options offer exceptional design flexibility,” says Brent Gwatney, senior vice president of MoistureShield Decking. 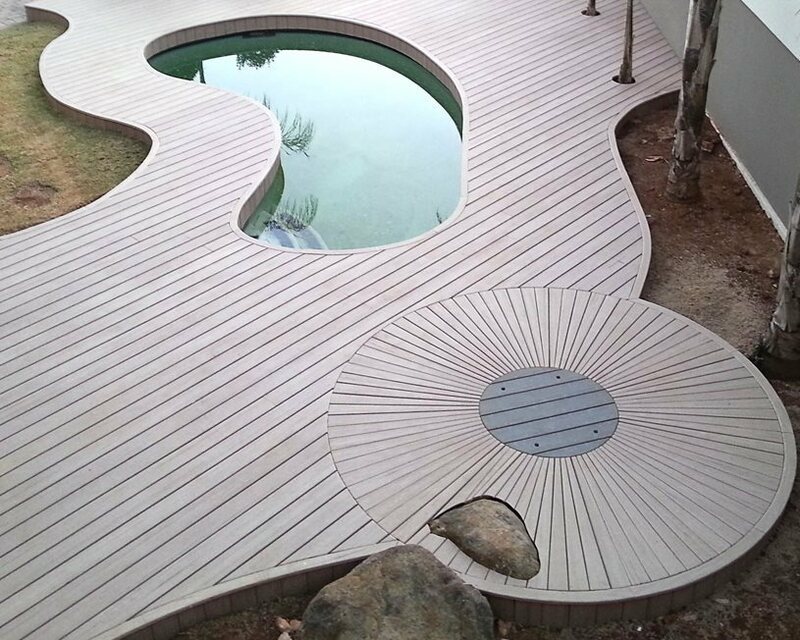 “Composites, in particular, are more easily bent into creative shapes than wood decking, and can be ripped and routed to form virtually any design you can think of.” DIYers and deck builders can even install moisture-resistant boards in the ground or under water for more design possibilities, notes Gwatney.